Mango Hotels in Airoli. A tech enabled hotel which provides a great night's sleep to business travelers is located in Navi Mumbai. SagarVihar in Vashi also known as the 'mini sea shore.' Located in the business hub of Airoli, the hotel provides quick connectivity to Rabale, Mahape, Vashi, Belapur and Navi Mumbai's shopping centers. 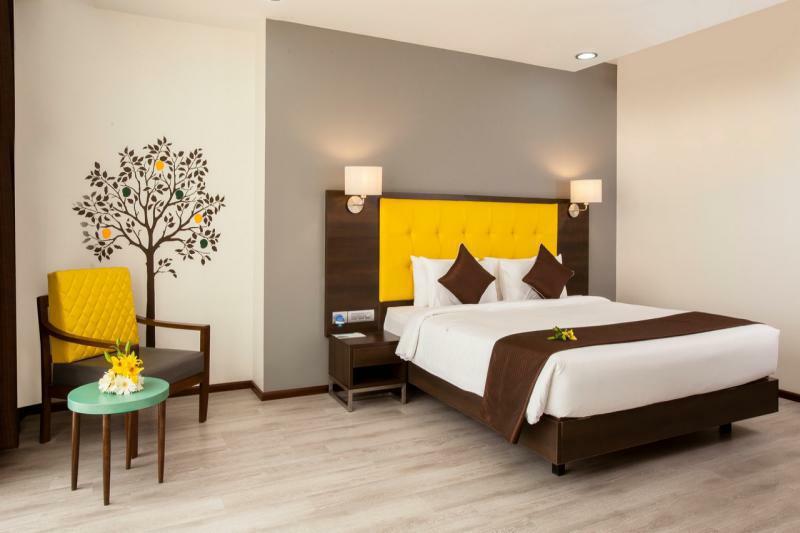 Mango Hotel in Navi Mumbaisituated on the Thane-Belapur road, just 2 kms from Airoli station and is easily accessible by road and rail from Thane, Mumbai and Pune.